There are big songs, there are BIG songs and there are HUMONGOUS songs. But this song sounds like a volcano erupted in the Grand Canyon. 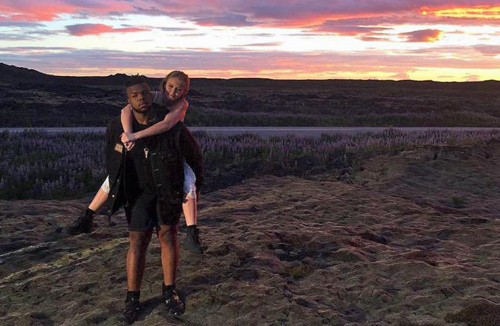 It's called Never Forget You and it courtesy of MNEK - producer of Madonna's Living For Love and Little Mix's Wings - and Swedish pop star Zara Larsson. At times, the singers sound like they're competing with Anastacia and Celine Dion for the title of "shoutiest duet of all time". At others - particularly when it veers into deep house territory - it's irresistibly soulful. The tension between the two styles is what makes it work. You're constantly caught off balance as the song swerves between hyperbole and harmony... so your attention never wavers. It could be a massive hit, or it could make you cover your ears and run away. Listen below to find out.